This watch is awesome. It was purchased as a gift for my brother, and it has more features than he knows what to do with. The feature he likes the most is how the watch will automatically illuminate when he rotates his wrist towards him. 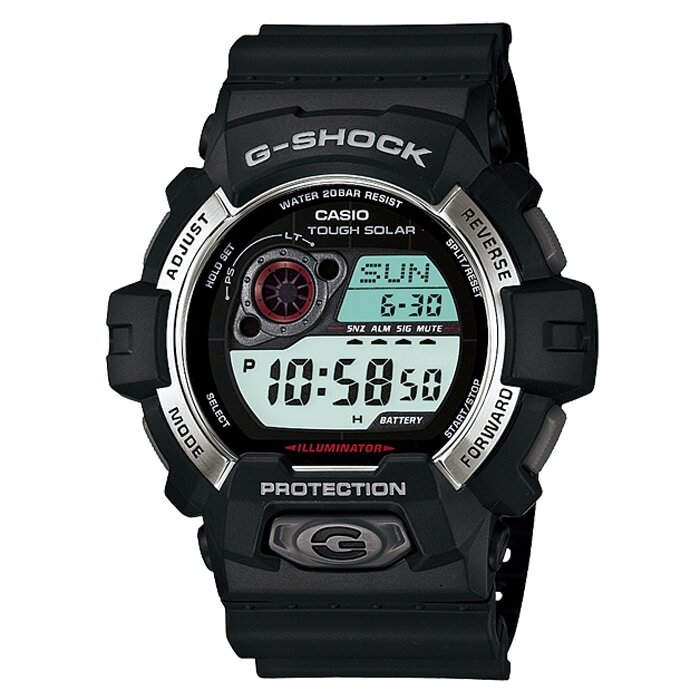 This 'G-shock" X-large tough solar timepiece features Casio's signature shock-resistant case and an LED backlight. 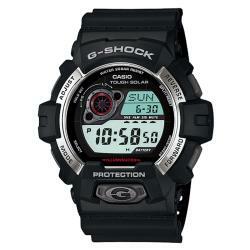 A sporty design and a durable construction keep this watch tough and stylish. Mens watch bands can be sized to fit 7.5-inch to 8.5-inch wrists. This g shock was purchased as a birthday gift for my boyfriend. He is a personal trainer and usually doesn’t wear watches because they can’t stand up to the gym conditions. He LOVES this watch!! Digital display easy to see + day/date present making this a perfect watch for those having memory issues! Being solar powered is also an advantage. Great value. Love the watch! So many features, I bet we won't even use them all. Looks great. very happy with this watch my son love it. This was a perfect Xmas gift for my dad, who does a lot of outside work (from the car, to the yard). Perfect just for him. Good durable watch for my dad. Perfect for him while he's doing the yard work, working on the car, exercising and it's solar.